The perfect saddle: art, science, and intuition, combined with lifelong passion for the horse. Whether you are at training level or the Grand Prix, let us get you the optimal saddle to achieve balance and connection, for the ability to reach peak performance. We are proud representatives of Veritas Saddles and Albion Saddlemakers, and we are ready to help you find your perfect fit. If you are ordering an Albion or Veritas saddle, a non-refundable deposit of $2,400 is required prior to the order being placed. If you need to cancel the saddle order, for any reason, once it has been placed the $2,400 deposit will be forfeited. Upon saddle arrival, Nancy will deliver the saddle (or ship) at no additional cost. The first flocking is also included at no charge. If a flocking does not occur at time of delivery, the complimentary flocking would be done within 6 months of delivery. This appointment would be charged a barn call fee, however. The payment of balance due is required at time of delivery or prior to shipping. We accept all forms of payment. All special order saddles are non-returnable. Please contact us to set up an appointment or ask any questions you may have. 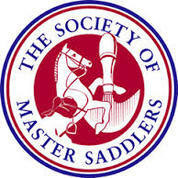 Shedrick English Saddlery (SES) specializes in dressage saddles made to measure from Veritas and Albion. We have new and demo saddles in stock. We carry Albion dressage bridles, which are designed and handmade in England, demanded worldwide. Explore our custom sizes and available colors. Mix and match bridle parts or shop the complete bridles we have in stock. ​you live in any other state. Can we do saddle fittings? If you have purchased a new saddle from a brand we do not represent, please contact the fitter for that brand for your service needs. If you are looking for a new Veritas or Albion saddle, please contact us to make an appointment. We will continue to service your saddle in the future. Thank you!